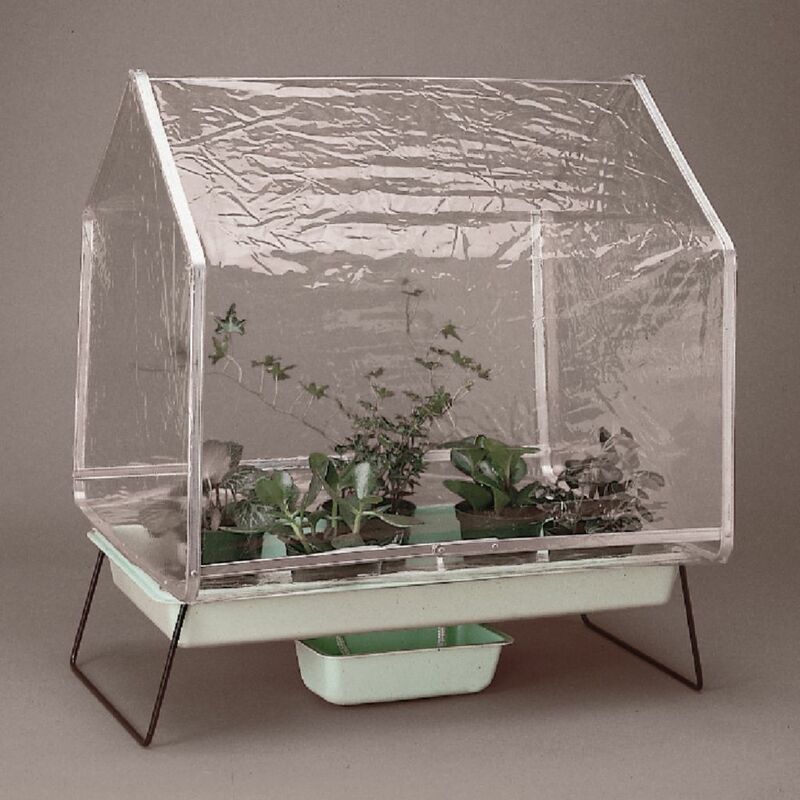 Conduct Dozens Of Experiments With This Space-Saving Greenhouse. The transparent vinyl shell and sturdy aluminum frame offer a lightweight, portable growth environment for seeds and bulbs. The light fixture (not included) attaches easily to the frame.